Wilton Lewis Felder (August 31, 1940 – September 27, 2015) was an American saxophone and bass player, and is best known as a founding member of The Jazz Crusaders, later known as The Crusaders. Felder was born in Houston, Texas and studied music at Texas Southern University. Felder, Wayne Henderson, Joe Sample, and Stix Hooper founded their group while in high school in Houston. The Jazz Crusaders evolved from a straight-ahead jazz combo into a pioneering jazz-rock fusion group, with a definite soul music influence. Felder worked with the original group for over thirty years, and continued to work in its later versions, which often featured other founding members. Wayne Maurice Henderson was an American soul jazz and hard bop trombonist and record producer. In 1961, he co-founded the soul jazz/hard bop group The Jazz Crusaders. Henderson left the group in 1976 to pursue a career in producing, but revived The Jazz Crusaders in 1995. Joseph Leslie "Joe" Sample was an American pianist, keyboard player, and composer. 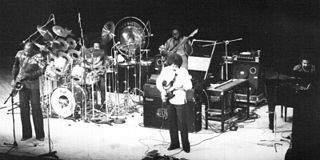 He was one of the founding members of the Jazz Crusaders, the band which became simply the Crusaders in 1971, and remained a part of the group until its final album in 1991. Felder also worked as a West Coast studio musician, mostly playing electric bass, for various soul and R&B musicians, and was one of the in-house bass players for Motown Records, when the record label opened operations in Los Angeles in the early 1970s. He played on recordings by The Jackson 5 such as "I Want You Back" and "The Love You Save", as well as for Marvin Gaye and Grant Green. He also played bass for soft rock groups like Seals and Crofts. Also of note were his contributions to the John Cale album, Paris 1919 , and Billy Joel's Piano Man and Streetlife Serenade albums. He was one of three bass players on Randy Newman's Sail Away (1972) and Joan Baez' Diamonds & Rust . Felder also anchored albums from Joni Mitchell and Michael Franks. His solo album, Secrets, which prominently featured Bobby Womack on vocals, reached No. 77 in the UK Albums Chart in 1985. The album featured the minor hit, "(No Matter How High I Get) I'll Still be Looking Up to You", sung by Womack and Alltrinna Grayson. In music, a solo is a piece or a section of a piece played or sung featuring a single performer, who may be performing completely alone or supported by an accompanying instrument such as a piano or organ, a continuo group, or the rest of a choir, orchestra, band, or other ensemble. Performing a solo is "to solo", and the performer is known as a soloist. Robert Dwayne Womack was an American singer, songwriter, musician, and record producer. Starting in the early 1960s as the lead singer of his family musical group the Valentinos and as Sam Cooke's backing guitarist, Womack's career spanned more than 60 years and multiple styles, including R&B, soul, rock and roll, doo-wop, gospel, and country. Felder played a King Super 20 tenor sax with a metal 105/0 Berg Larsen mouthpiece. He also used Yamaha saxes. He played a Fender Precision bass, and also played Aria bass guitars. Marcus Miller is an American jazz composer, producer and multi-instrumentalist, best known as a bass guitarist. 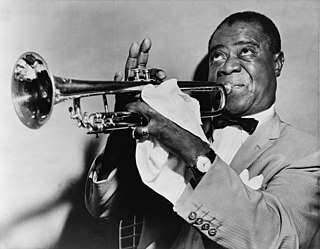 He has worked with trumpeter Miles Davis, pianist Herbie Hancock, singer Luther Vandross, and saxophonist David Sanborn, among others. Michael Franks is an American jazz singer and songwriter, considered a leader of the quiet storm movement. He has recorded with a variety of well-known artists, such as Patti Austin, Art Garfunkel, Brenda Russell, Claus Ogerman, and David Sanborn. His songs have been recorded by Shirley Bassey, The Carpenters, Kurt Elling, Diana Krall, Patti LaBelle, Lyle Lovett, The Manhattan Transfer, Carmen McRae and Ringo Starr. Archie Bell & the Drells was an American R&B vocal group from Houston, Texas, and one of the main acts on Kenneth Gamble and Leon Huff's Philadelphia International Records. The band's hits include "Tighten Up", "I Can't Stop Dancing", "There's Gonna Be A Showdown", "Girl You're Too Young" (1969), "Here I Go Again", "Soul City Walk" (1975), "Let's Groove", "Everybody Have A Good Time" (1977), and "Don't Let Love Get You Down" (1976). Louis Johnson was an American bass guitarist. Johnson was best known for his group The Brothers Johnson and his session playing on several hit albums of the 1970s and 1980s, including the best selling album of all time, Thriller. 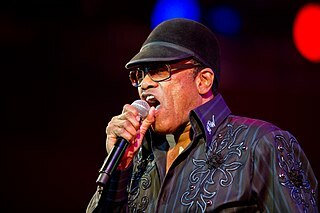 The Poet II is the fourteenth studio album by American musician Bobby Womack. The album was released in 1984, by Beverly Glen Music. The album features three duets with fellow soul legend Patti LaBelle, including the top three R&B charted ballad, "Love Has Finally Come At Last", and the more modest follow-up, "It Takes a Lot of Strength to Say Goodbye". It also includes the top 75 UK dance hit, "Tell Me Why". The UK music magazine NME named it the best album of 1984. Street Life is a studio album by the American jazz band The Crusaders. It was a top 20 album on three Billboard charts and represents the peak of the band's commercial popularity. The title track, featuring singer Randy Crawford, was a Top 40 pop single and became the group's most successful entry on the soul chart. It was No. 5 on the UK Singles Chart. "Street Life" also hit the disco chart, peaking at No. 75, and was re-recorded by Doc Severinsen with Crawford reprising her vocal for the opening sequence of the noir crime drama Sharky's Machine, directed by Burt Reynolds in 1981. This faster paced and more powerful version was also featured in Quentin Tarantino's Jackie Brown, released in 1997. The song is also featured in the video game Grand Theft Auto V on the in-game radio WorldWide FM as well as in the Bob's Burgers episode "Eggs for Days", The Venture Bros. episode "The Venture Bros. & The Curse of the Haunted Problem", and the Better Call Saul episode "Quite a Ride." David T. Walker is an American guitarist born in Tulsa, Oklahoma. In addition to numerous session musician duties since the early 1970s, Walker has issued fifteen albums in his own name. David Hughes is a Jazz fusion/Smooth jazz electric and acoustic bass player and composer of Swedish/Scottish origin. He is based in Los Angeles, California, since 1994. Everette Harp is an American jazz saxophonist who has recorded for Blue Note, Capitol and Shanachie Records. His album Jazz Funk Soul, a collaboration with Chuck Loeb and Jeff Lorber, received his first nomination for a Grammy Award for Best Contemporary Instrumental Album at 57th Annual Grammy Awards. Ricky Lawson was an American drummer and composer. A native of Detroit, Michigan, he worked extensively as a session musician, collaborating with Stevie Wonder, Michael Jackson, Eric Clapton, Phil Collins, Whitney Houston, Steely Dan, Earl Klugh, Kenneth "Babyface" Edmonds and other artists. He co-founded the jazz-fusion band Yellowjackets and won the 1987 Grammy Award for Best R&B Instrumental Performance for "And You Know That" from their album Shades. Abu Talib was an African-American blues and R&B guitarist. Arthur Adams is an American blues guitarist from Medon, Tennessee. Inspired by B.B. King and other 1950s artists, he played gospel music before attending college. He moved to Los Angeles, and during the 1960s and 1970s he released solo albums and worked as a session musician. In 1985 he was tapped to tour on bass guitar with Nina Simone, and he staged a comeback in the 1990s when he released Back on Track, and became a respected Chicago blues player and bandleader in B.B. King's clubs. Chain Reaction is a 1975 album by jazz-fusion band The Crusaders. Southern Comfort is a 1974 album by jazz-fusion band The Crusaders. 1 2 Slotnik, Daniel E. (October 3, 2015). "Wilton Felder, Saxophonist for the Crusaders, Dies at 75". The New York Times . Retrieved November 14, 2016. ↑ Williams, Richard (October 8, 2015). "Wilton Felder obituary". The Independent . Retrieved November 14, 2016. ↑ Roberts, David (2006). British Hit Singles & Albums (19th ed.). London: Guinness World Records Limited. p. 197. ISBN 1-904994-10-5. ↑ Colker, David. "Wilton Felder, musician who played on many pop hits, dies at 75". The Washington Post . Retrieved November 14, 2016. ↑ Smith, William Michael (September 27, 2015). "Legendary Crusaders Sax Man Wilton Felder Passes Away". Houston Press . Retrieved September 27, 2015.